The new Nexus 10 Android slate will arrive after an update to the Google Play Store that is expected to improve usability for tablet users. 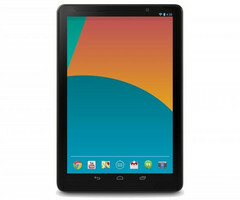 The second-generation Nexus 10 Android tablet will arrive really soon if the recent reports prove to be true. While this information seems to have been confirmed by Google already, the first report on the matter was published by Ubergizmo and now that story is no longer available. According to that report, the new Nexus 10 tablet will be ready to go live at the same time as the Google Play Store update which is expected to improve user experience on tablets. The Ubergizmo report cannot be validated at this time, so it must be taken as a rumor for the time being. On the other hand, multiple reports from analysts show that a new Nexus 10 tablet is likely to show up just in time for this year's Black Friday. An official confirmation from Google could arrive next week, but it would be no surprise to see the Google Play Store update and the new Nexus 10 tablet being announced together right on Black Friday 2013, as it happened with the Nexus 5 and Android 4.4 KitKat on Halloween.